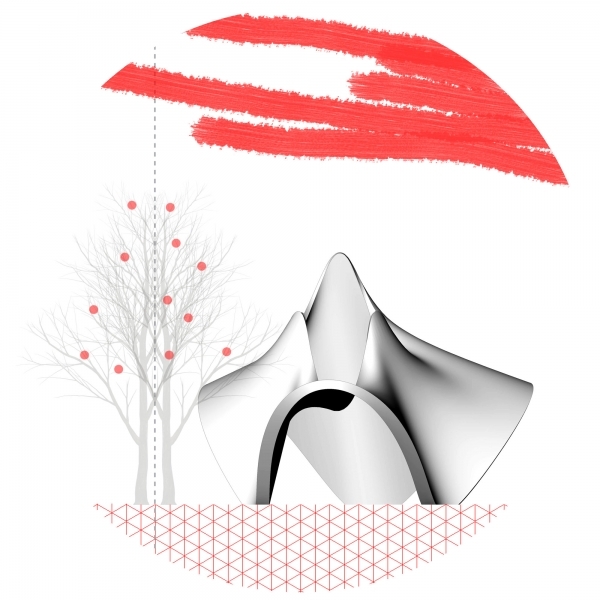 CRAFT initiated as an annual event to foster computational design and digital fabrication with realization of a 1:1 pavilion, through collaborative design and collective work. This event has been crowd sourced and was independent. CRAFT.2016 titled “Re.Envisioning Felix Candela” and was trying to adapt to his works and design process. This year, the design featured a Plücker conoid as a ruled surface being manipulated to shape the pavilion. For the fabrication of this pavilion the idea was to develop a material system as Customized Sandwich Structured Composites. This customization happened by the utilization of robotic hot-wire cutting for the fabrication of differentiated low-density cores of the structure being sandwiched by hi-density composite materials. The complete agenda of the workshop would be followed. This pavilion has been assembled in the University of Tehran, for the beginning of the academic year. More information, including collaborators and project credits as well as sponsors, is available at TehranCRAFT.com and its Facebook page.